Soy is everywhere! Did you know that around two-thirds of all manufactured foods contain soy-derivatives? Given that this little bean is so prevalent, it's surprising that its great nutritional and health benefits are not more widely known. High in protein, fiber, calcium, folic acid, iron, potassium, and magnesium, soy is low in saturated fats, cholesterol, and can even lower blood cholesterol. 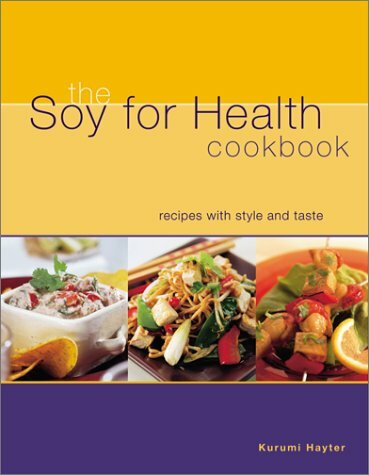 This cookbook helps you integrate soy into your diet and shows how to customize recipes to your lifestyle, whether you are vegan, vegetarian or a meat-eater.